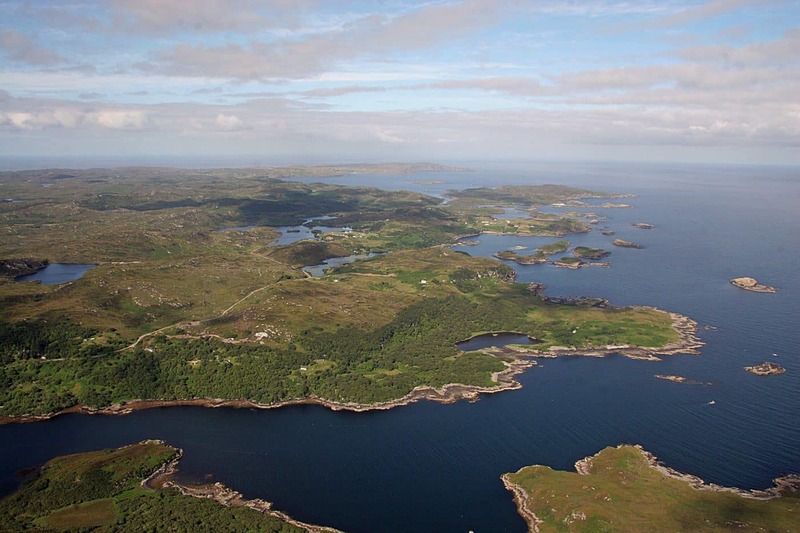 Duart, on the western shore of the mouth of Loch Nedd (NC1332/1333), is an extensive area of cliffs, woodland, marsh and coastal heath centred on a tidal lochan (photo 1). 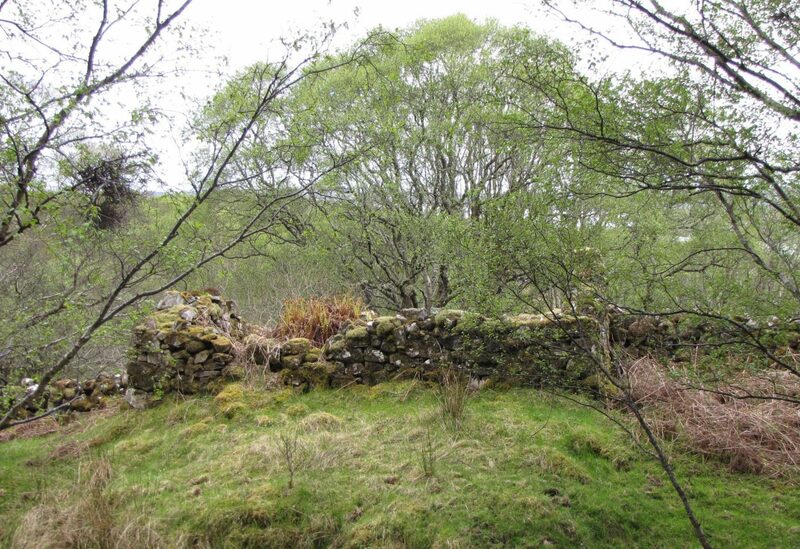 It is shared between the townships of Nedd and Drumbeg, part croft, part common grazing, and quite difficult to access unless you can find the start of the two tracks into it. Eighty or more years ago parts were cultivated and there are the ruins of houses, byres, barns and fanks which date back into the 19thcentury. 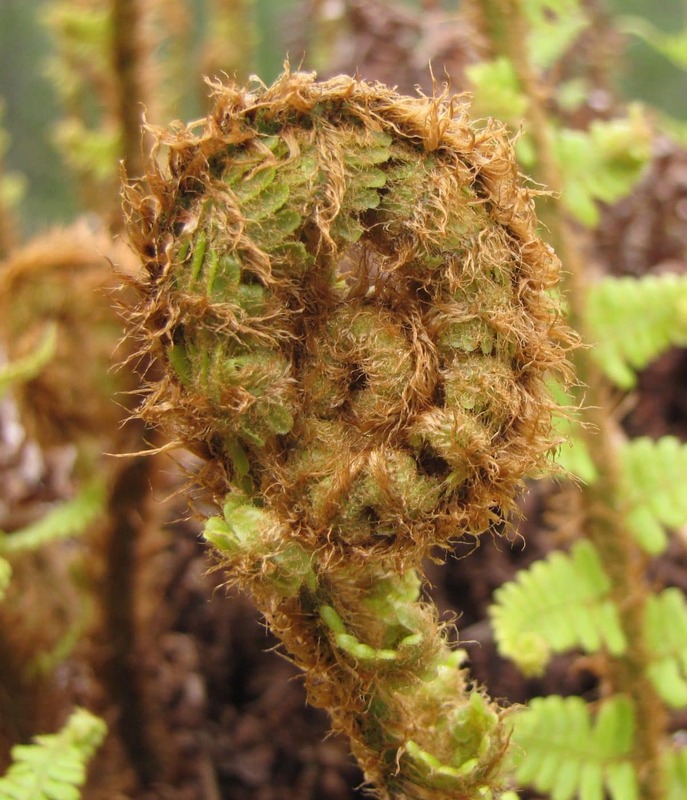 Now it is largely covered by trees, and one of the glories of this sheltered area is the luxuriant growth of ferns. I was reminded of this on 14th May 2018, when I went to check out some large old hazels at the corner of one of the Duart ruins. Its middle section (photo 2) contains one of the biggest crowns of ferns I have ever seen, standing well over a metre high. It is particularly spectacular in the spring when the young fronds, or croziers, are unfurling, since their stalks are densely covered with shining golden scales (photos 3, 4, 5). It is a splendid example of the golden-scaled male-fern Dryopteris affinis, a long-lived perennial which can rival the royal fern in size. 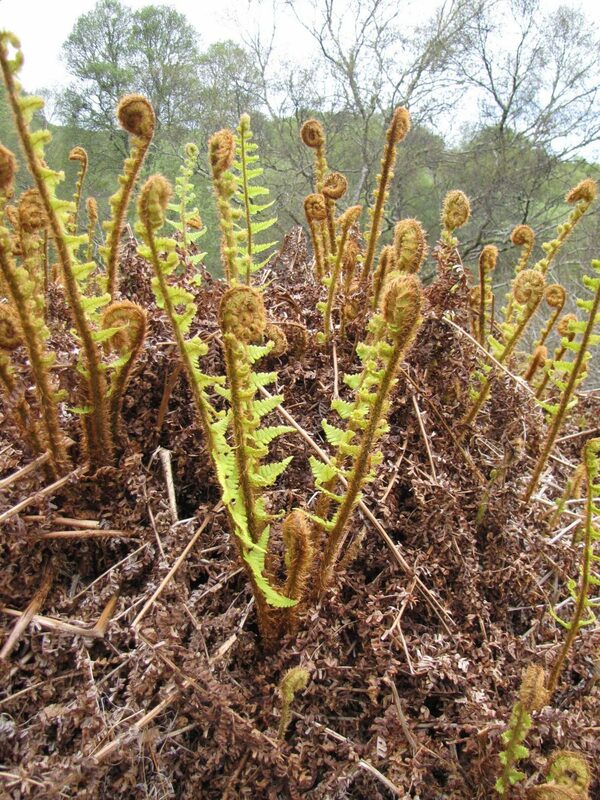 Fern experts consider D. affinis to be an aggregate of closely-related forms and one of them found three different forms self-sown in my garden at Nedd. I may be able to identify this Duart specimen more precisely later in the year, when the fronds have matured. The golden-scaled male-fern has a particular liking for rocky areas so this ruin qualifies on that score. 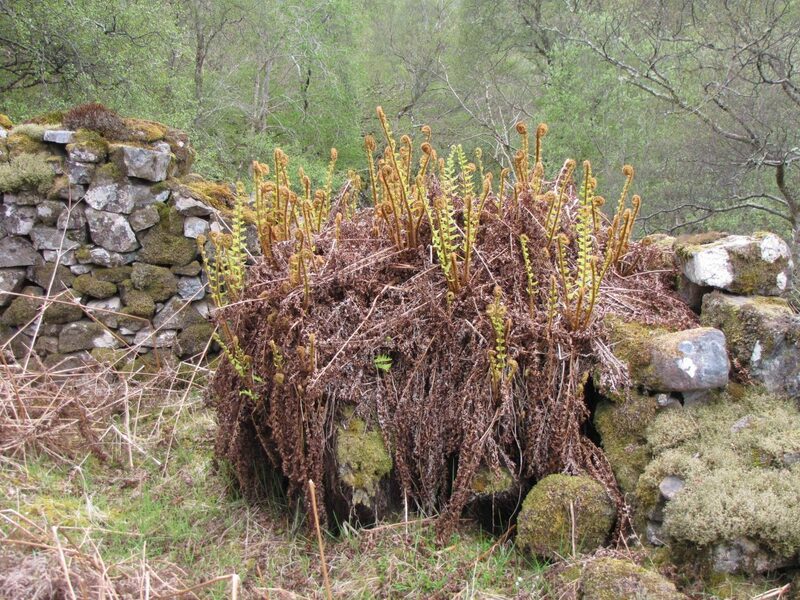 However, the fern’s golden shuttlecocks are also a conspicuous feature on screes along the road to Lochinver at this time of year.